This unit is in excellent condition. The only known issues are that the awning needs to be replaced, it's just the shade that is worn out, everything else works fine), and one window shade needs to be fixed. Stock #159149 LOW LOW MILES, GREAT Condition, Updated and ready to go! This is a Fabulous Deal! If you are in the market for a class a, look no further than this 2005 Sun Voyager 8361 SPE, just reduced to $39,999. This Class A is located in Tampa, Florida and is in great condition. She is also equipped with a General Motors engine that has 19,000 miles. Reason for selling is no time to use. So many extras that were not options on this already fully loaded RV: The kitchen faucet was replaced w/ a new touch-sensitive one on the double sink. The master bedroom TV was replaced w/ a bigger smart TV; four flat screen TV's in all. Most lights were all upgraded to newer LED's. A ceiling fan was installed in the master bedroom. The seller also added two extra batteries for the unit to run on without the need of having to use the generator, up to 9+ additional hours. There are three thermostatic, Whisper Quiet vents throughout the unit. There is a CB Radio at the driver's seat. 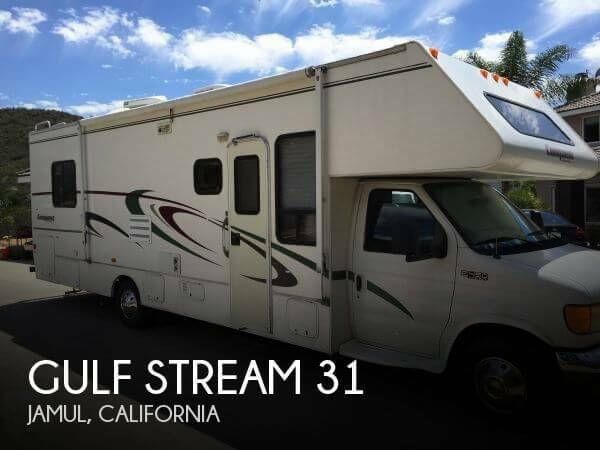 Stock #162006 2008 TOUR MASTER BY GULFSTREAM CLASS A RV CUMMINS 425 DIESEL PUSHER TAG AXLE FULLY LOADED 1 1/2 BATH If you are in the market for a class a, look no further than this 2008 Tour Master T40F, just reduced to $133,800. 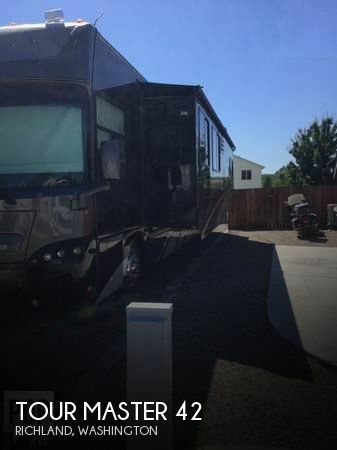 This Class A is located in Richland, Washington and is in great condition. She is also equipped with a Cummins engine that has 38,940 miles. Reason for selling is health issues. 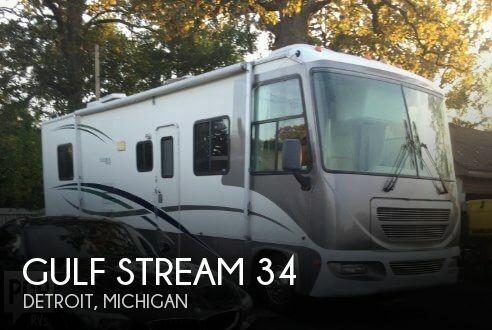 All systems both internal and external are in good working order and have been checked out recently by the RV center according to the Seller. All new tires. Coach and motor have had light usage with only 38,000 miles. Stock #169233 Great Condition, Low Miles, Priced VERY GOOD!!! Come and Get it before someone else does because this one will go FAST!!! If you are in the market for a class a, look no further than this 1999 Sun Sport 8347, priced right at $17,750. 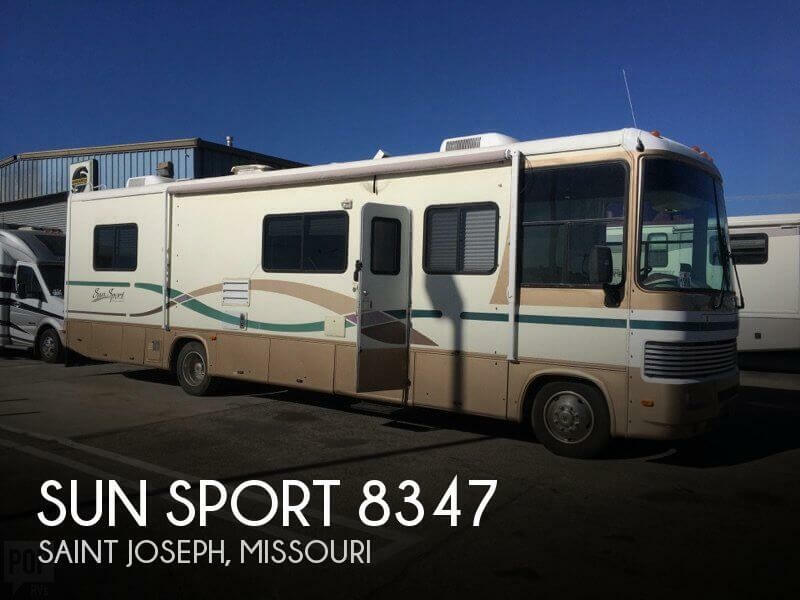 This Class A is located in Saint Joseph, Missouri and is in good condition. She is also equipped with a Ford engine that has 38,000 miles. Reason for selling is not used enough. Stock #176102 Save $10,000 on like new(only 8000 miles), 22ft BT Cruiser. 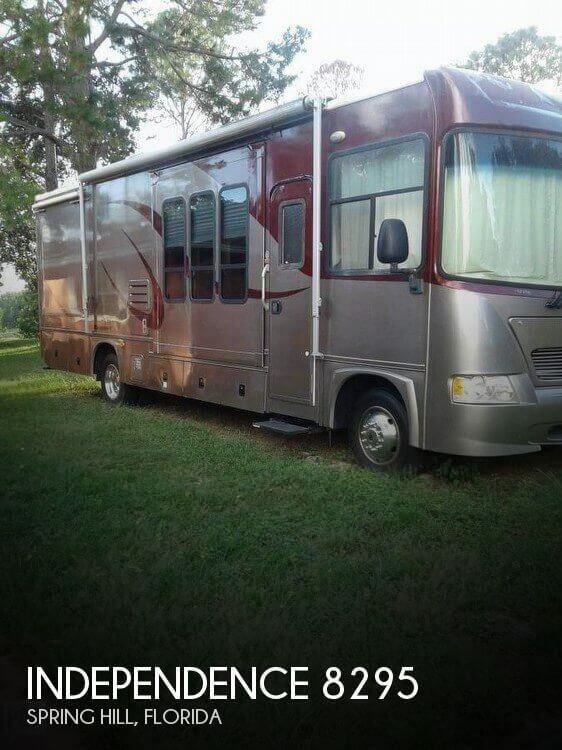 Due to illness, this immaculate RV, is available for quick sale. Perfect size, perfect con If you are in the market for a class c, look no further than this 2018 BT Cruiser 22, priced right at $57,900. This Class C is located in Venice, Florida. She is also equipped with a Ford engine that has 8,000 miles. This 2006 Independence 8295 has extremely low miles for the age and good shape. All equipment appears operational. Seller is throwing in four tires that are not on the coach. Did not notice any leaks in the coach Stock #165775 Excellent Condition, Low miles. Well maintained. Ready for the road. If you are in the market for a class a, look no further than this 2006 Independence 8295, just reduced to $35,900. This Class A is located in Spring Hill, Florida and is in great condition. She is also equipped with a Ford engine that has 37,000 miles. Reason for selling is too busy. 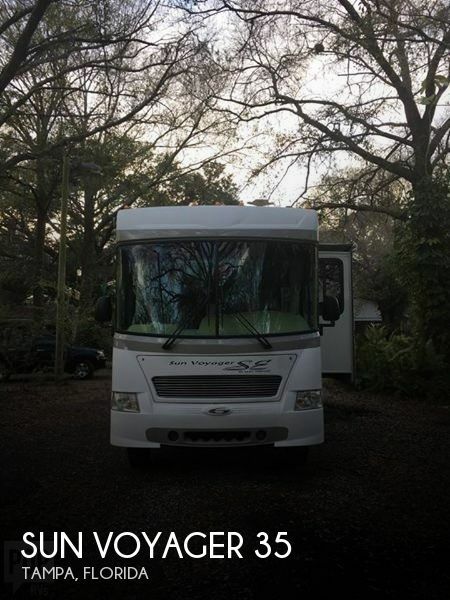 Great Class C with plenty of room to travel the country and to get to places where a bigger RV can't get to. Shows normal wear and tear in high traffic areas but seller reports everything is in working order to drive away today. Manuals & maintenance records if needed. Tires are approximately two years old but have hardly been used. Stock #169780 Great condition Conquest! Low mileage! New canopy! Spacious interior! Loaded and ready for the road! If you are in the market for a class c, look no further than this 2004 Conquest 31, just reduced to $25,000. This Class C is located in Jamul, California and is in good condition. She is also equipped with a Ford engine that has 24,296 miles. Reason for selling is no time to use. The unit only has 2400 miles at the time of publishing this ad. Seller states that unit is in like new condition and that all systems function exactly as expected. Please make an inquiry, call or text with any questions, to set a showing or make an offer contingent on inspections. Stock #175117 Excellent condition Conquest! Low hours! Meticulously maintained! Loaded and ready for the road! If you are in the market for a class c, look no further than this 2017 Conquest M-6320-Ford E450, priced right at $72,300. 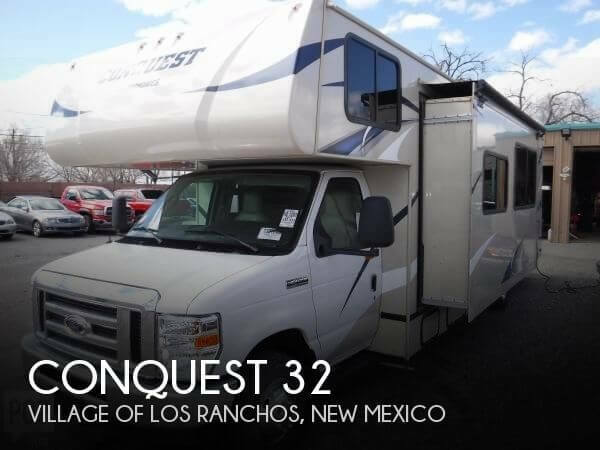 This Class C is located in Village Of Los Ranchos, New Mexico and is in great condition. She is also equipped with a Ford engine that has 2,400 miles. The Sun Voyager is in great shape for her age. She is reported to be in great mechanical shape, and has been professionally maintained. The seller states that everything works as expected, and there is nothing in need of repair. There are three cosmetic areas to point out. One of the closet mirrors has a crack in the corner, a stain in the fabric of the bedroom slide out from a leak that was professionally fixed and a small crack in the fiberglass wheel well of the front left tire. Stock #144317 The Sun Voyager sleeps six, has room for everything you could need. If you are in the market for a class a, look no further than this 2006 Sun Voyager 8378 MXG, just reduced to $54,900. 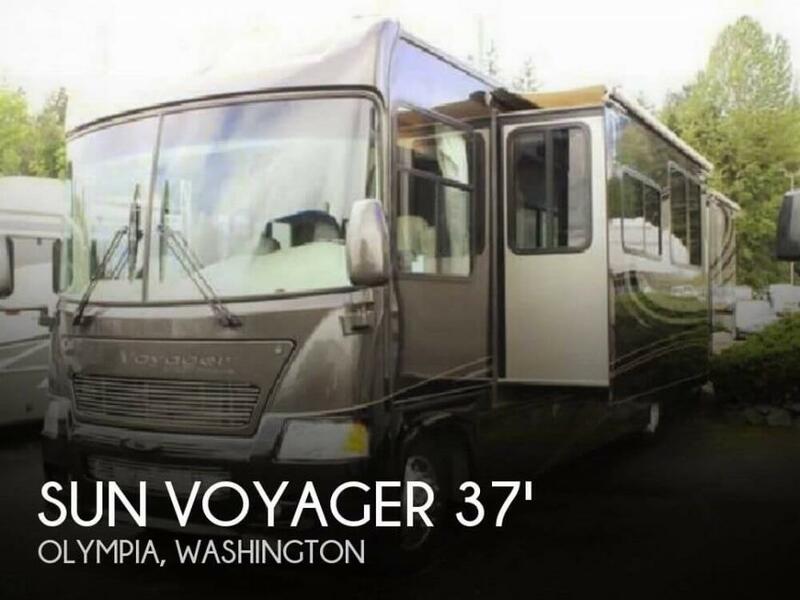 This Class A is located in Olympia, Washington and is in good condition. She is also equipped with a Ford engine that has 30,489 miles (as of March 27). Reason for selling is ready for new adventures. Overall the RV s great condition for its age. And very low miles 22,728 Undercarriage looked dry with no visible leaks. Stock #172962 Time to make memories in this low miles, CONQUEST, Isn't it time you live your Journey..... 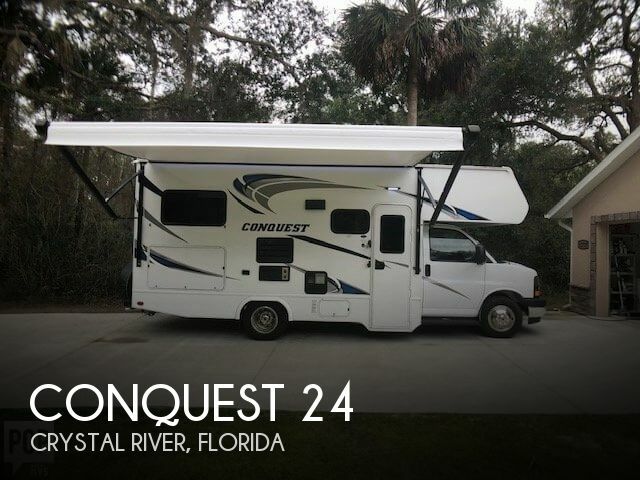 If you are in the market for a class a, look no further than this 2000 Conquest 325 DH, just reduced to $22,250. 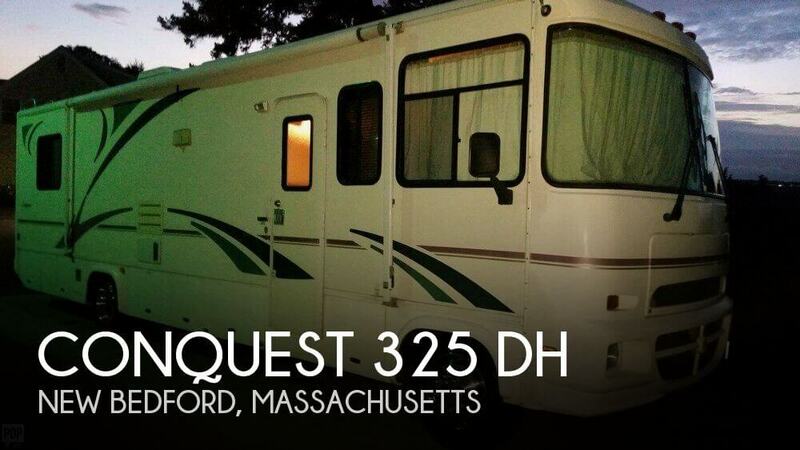 This Class A is located in New Bedford, Massachusetts and is in good condition. She is also equipped with a Ford engine that has 22,728 miles (as of March 11). Reason for selling is bought a new 5th wheel. 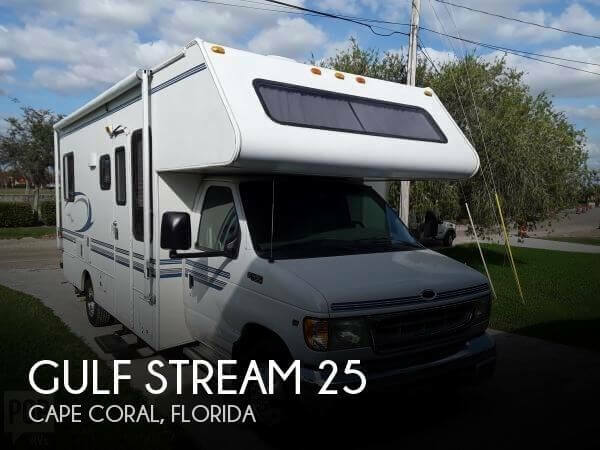 Everything about this practically brand new 2018 Conquest (by Gulf Stream) 6237LE is in EXCELLENT, LIKE NEW condition! With less than 5000 total miles on the carriage, and less than 9 actual hours on the on-board generator, this amazing class C will easily pass your condition and quality test! PURCHASE WITH CONFIDENCE! 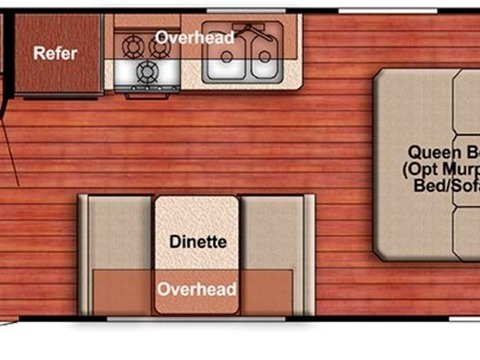 Stock #169943 LIKE NEW, Gulf Stream Quality and Construction with Luxury Package, VERY LOW MILES! Reason for selling is retiring from travelling :-). Stock #176200 Very clean and Very low miles 2003 Gulf Stream!!! Ready for the highway!! If you are in the market for a class a, look no further than this 2003 Gulf Stream 34, priced right at $31,200. This Class A is located in Detroit, Michigan. She is also equipped with a Ford engine that has 33,000 miles. The owner reports that everything is in excellent condition as shown yet POP RVs always recommends an inspection to confirm the condition. Yet with the owner providing a two year extended warranty, how can you go wrong! Stock #135743 DIESEL PUSHER! 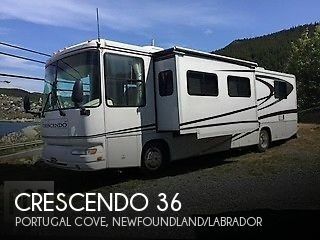 300HP - FULL WARRANTY THRU AUGUST IS TRANSFERABLE If you are in the market for a class a, look no further than this 2004 Crescendo 36, just reduced to $47,000. This Class A is located in Portugal Cove, Newfoundland/Labrador and is in great condition. She is also equipped with a Caterpillar engine that has 37,038 miles (as of September 27). Reason for selling is downsizing. Per seller, the coach is serviced and maintained before extensive excursions. Very inclusive power control center which includes solar power management; all controls for the two-slides; generator power management; and load center power management display. Stock #172480 2008 Gulfstream Supernova 6400SN Grand Hotel in the Luxury Blue color scheme. Ready to hit the open highways! 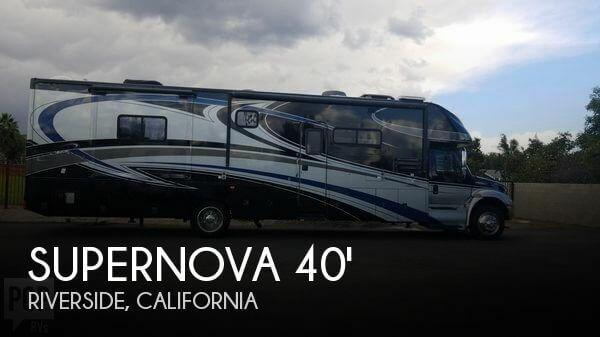 If you are in the market for a class c, look no further than this 2008 SuperNova 6400SN Grand Hotel, priced right at $116,700. This Class C is located in Riverside, California and is in good condition. She is also equipped with a International engine that has 15,503 miles. Reason for selling is no longer used. Very Clean, no rips or tears to fabric, Carpet, and Flooring are clean with no visible stains. Engine and Generator have been serviced and in good running order. All of the tank gauges work. Equipped with a Solar Battery Charger to keep her ready for the road. Stock #169852 Excellent condition Conquest Sport! Low mileage! New tires and other upgrades! Loaded and ready to travel today! If you are in the market for a class c, look no further than this 2002 Gulf Stream Conquest Sport W6244S, just reduced to $24,999. 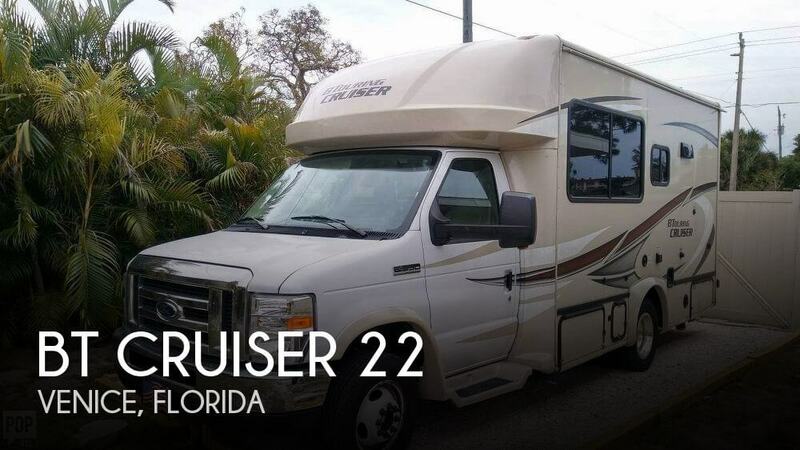 This Class C is located in Cape Coral, Florida and is in great condition. She is also equipped with a Ford engine that has 77,042 miles (as of February 12). Reason for selling is tiem to upgrade!.